Meet sweet Miley. Miley and her two brothers Riff and Raff were found in South Carolina. Miley will be up in a few weeks; she stayed behind to recover from a puncture wound in her eye. She has vision in the eye; but not perfect. Miley doesn't let her injury slow her down one bit. She's still a happy, tail wagging spoiled foster puppy. As can be expected from her rough start; she does take a bit to warm up. She is vetted age appropriate and spayed. Meet and Greets are only set up after an application is submitted and approved. Her adoption fee is $275. The application can be found by visiting www.arkofmaine.org. Update: Through absolutely no fault of her own Miley is looking for a new home. Through her current adoption we have learned that miley is fearful of men. She would be most comfortable in a home with just a mom and a fur sibling or two. The quiet life would be best. 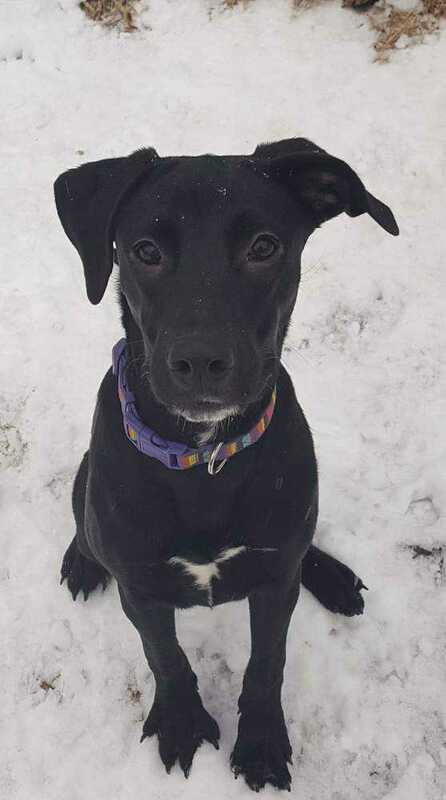 If this sounds like your home and you would be able to foster or adopt miley as she adjusts back to foster life please reach out to ARK - Animal Rescue of Kennebec.